Happy second day of Fall everyone! I spent the weekend putting the finishing touches on all of my Fall decor. Here’s a little peek at my mantel. 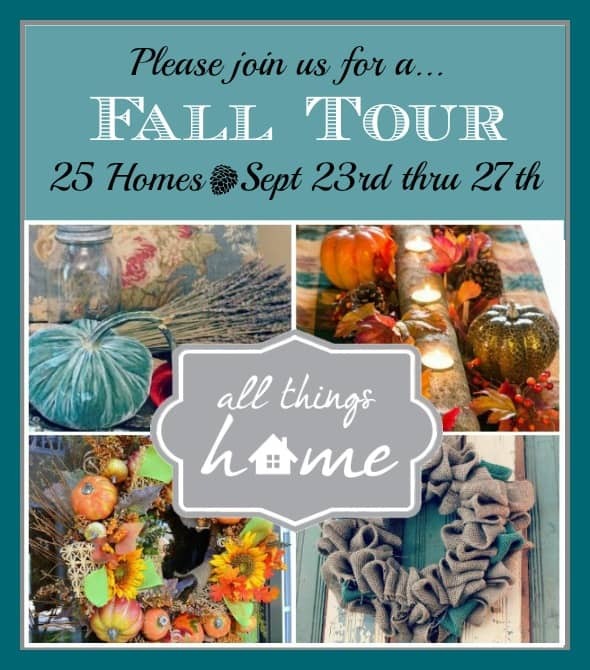 Today marks the start of the All Things Home Fall Tour! What better way to celebrate the start of a new season (that is a favorite for many of us) than having 25 bloggers throw open their doors to share their Fall decor with you? To go along with the Fall Tour, we have an unbelievable giveaway for you. 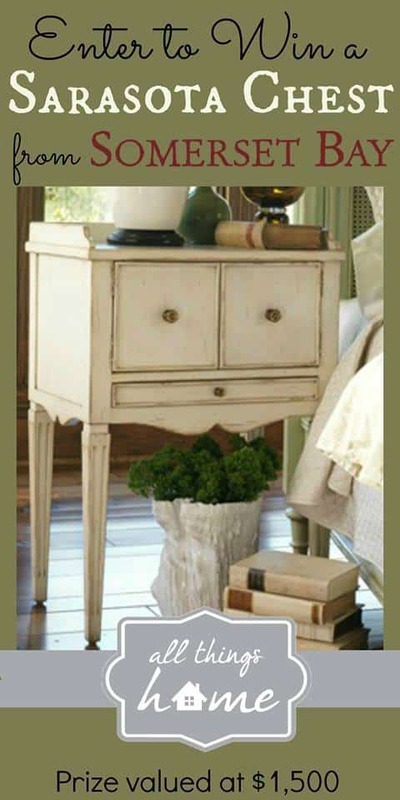 Somerset Bay will be giving away a Sarasota Chest valued at $1500! Isn’t it just gorgeous?!? Here’s the full schedule for the week. You’ll want to check them all out so that you don’t miss a thing and make sure that you enter the giveaway! Love the peek at your beautiful mantel, Susan! Your chalkboard print is great, It looks like you used one of those chalk markers, I need one! Suzy, I love your mantel. It is gorgeous! 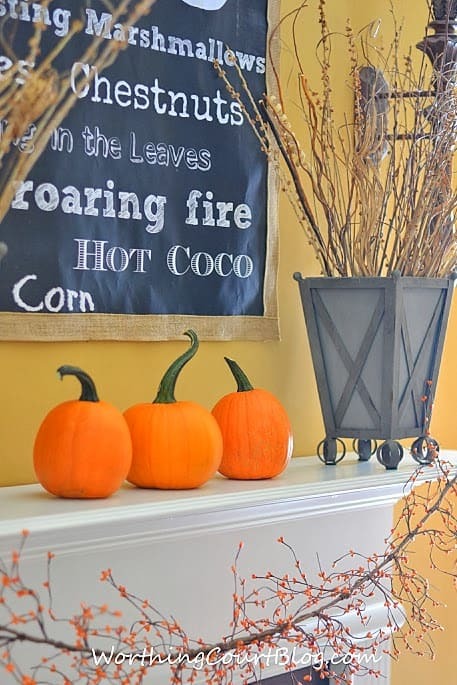 If it is okay, I am including it in my blog post on non-scary fall decorating. I will link to you, of course!